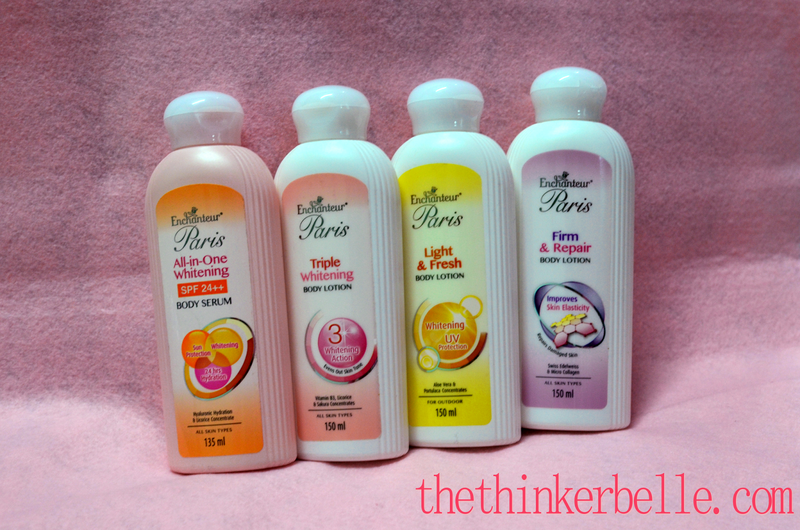 Enchanteur Paris has released a new and improved body lotion range and I was lucky to be chosen by The Butterfly Project Community to review them. Once again, Merci! Let's us get to it! We've been using lotions all our life. Or at least, we knew about its existence since we've been little. I bet most of you started using baby lotions when you were little. Mothers usually apply them on babies to avoid dry skin or rashes from forming. 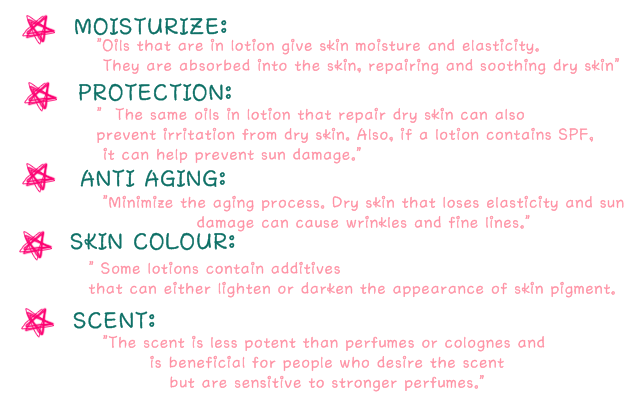 So do you really know what is the function of a body lotion? The point on 'Skin Colour' is quite informative right? 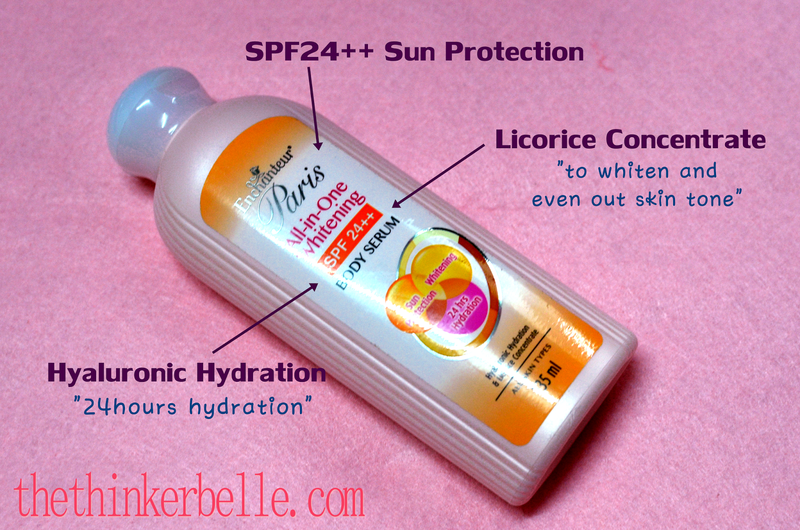 Make sure you choose the correct formulation so that you won't end up having darker skin! To be honest, I always applied them on after bath not only during the day, but also at night. It smells so good, and really help me to go to sleep fast due to it's relaxing smell. The concentration is thicker than some lotions, but I don't mind it. 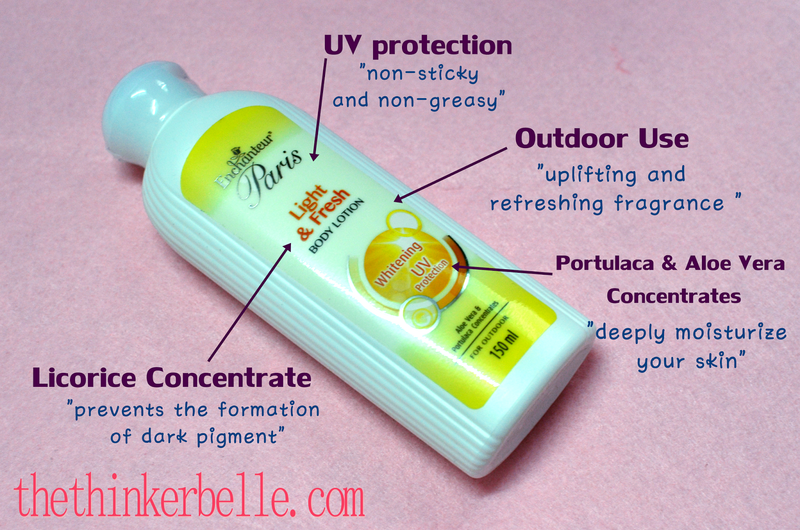 After all, if you want a non-sticky, sweat friendly lotion, you can opt for the outdoor use 'Light and Fresh' lotion! I've yet to try that one outside, but it does feels less sticky. I'm not really 'available' for outdoor activities these days. I'm just trapped in my office everyday and comes out only when the sunlight has already bid goodbye for the day. I gave the 'Firm and Repair' one to my mom. Well, of course I'm not implying that she's all wrinkly already. Haha but, prevention is better than cure right? And since I have three other bottles to finish up why not give that to my mom. Good stuff need to be shared! But hey, I did tried that one out so I can give my personal opinion. 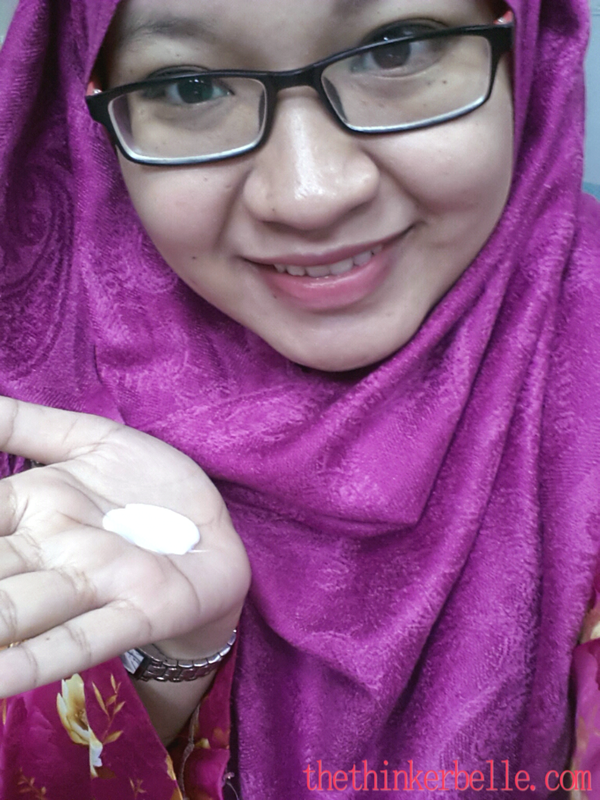 And the word 'micro collagen' as one of the ingredient is really eye catching to me! The last but not least, the 'Triple Whitening' bottle is the one I left on my office desk. For your information, my seat in office is directly under the big blasting 'aircond'. Therefore I'm having quite a dry skin nowadays. And that's something! Cause I never have dry skin before. At least not as dry as they are now. 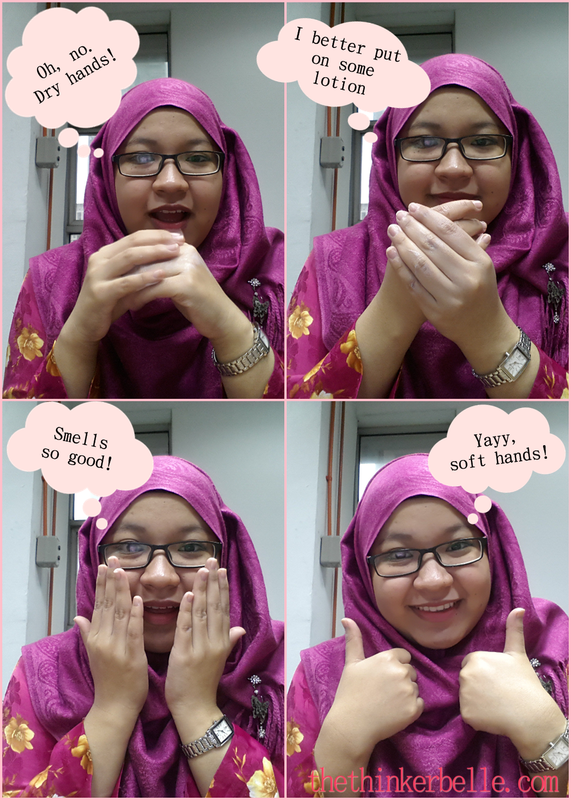 Whenever I feel like it, I'll just grab the bottle, squeeze out the content and apply it on my hands. And it does makes it better. 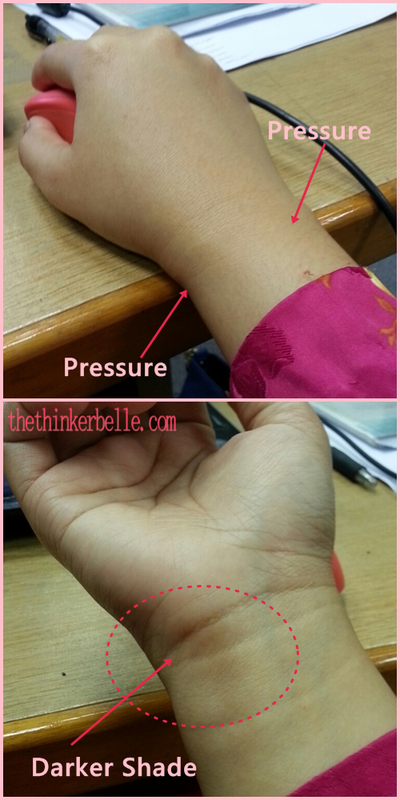 And for someone who types and use computer mouse a lot, applying lotion often can help in reducing those hard spots on your hand which usually is the result from continuing pressure. But after applying lotions everyday, the dark shades does gets lighter. And the hard skin also becomes softer again. If I have to make a confession, I'm actually the type who is lazy to apply body lotion often. But these days, since my skin needs them, I've been giving extra attention and quite thankful to receive these products from The Butterfly Community. Comel betul review Anis ^_^ best kan these lotions, the smell are all divine and I always wish that I can bring all four wherever I go, hahaha!